Although the dopamine hypothesis has been the cornerstone of schizophrenia therapeutics, it is clear that dopamine-based approaches do not treat all aspects of the disease. Moreover, many schizophrenia patients fail to respond to current antipsychotics. Integrating chemistry, biology, and pharmacology, this book explores emerging directions in pharmaceutical research for drug targeting and discovery in order to find more effective treatments for schizophrenia, one of the most serious and widespread psychiatric diseases. 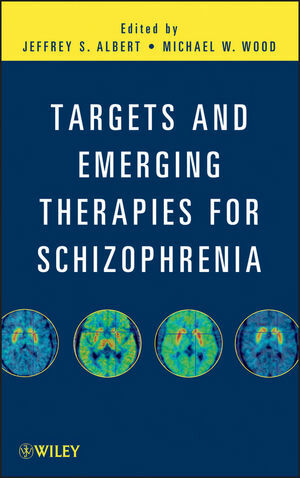 Targets and Emerging Therapies for Schizophrenia presents the basics of schizophrenia, drug targets for the disease, and potential new drugs and therapeutics. It begins with a discussion of prevalence and etiology. Then, it describes therapies such as dopamine agonists and phosphodiesterase (PDE) inhibitors as well as growing research aimed at addressing untreated symptoms. Next, the authors discuss receptor modulators, inhibitors, and targeting strategies for drug discovery. Both the neurobiological and chemical aspects of all major pharmacological targets are examined. With Targets and Emerging Therapies for Schizophrenia as their guide, drug discovery and development scientists have the information they need to advance their own research so that new, more effective treatments for schizophrenia will soon be a reality.